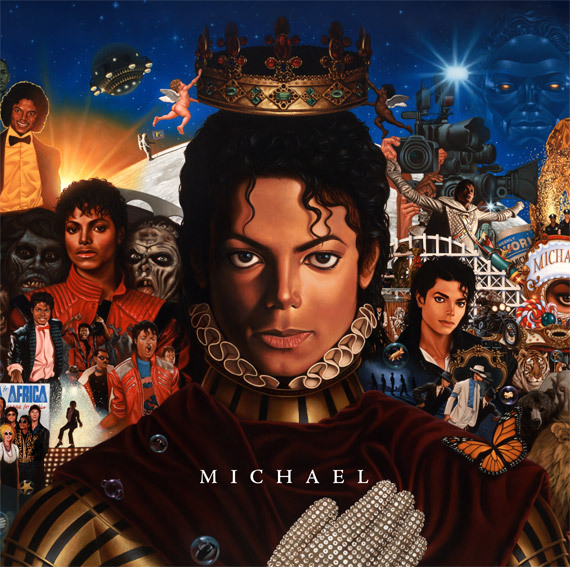 Yesterday, the new Michael Jackson album cover was revealed to the world by Sony Music on the official website. 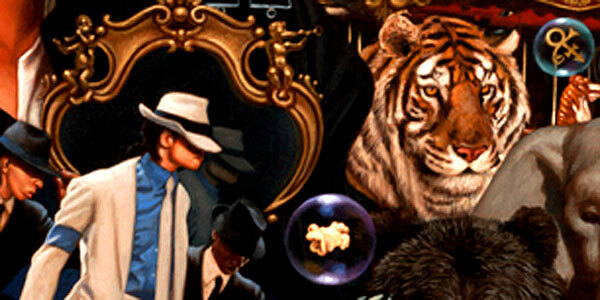 The Kadir Nelson painting takes fans on a fantasy ride through the greatest moments of the King of Pop’s solo career. MTV was the first to decode and notice on the cover, a bubble containing Prince’s signature male-female glyph. In fact that is true as can be seen with the updated cover on Sony’s site. Have a look at the high resolution altered cover without the symbol after the cut. Interesting..